Pinchers motto: "You Can't Fake Fresh" is so very true. Here they live and breath that. Only locally caught seafood is served. Daily fish and crabs are delivered to the docks of their own commercial, seafood facility, on Pine Island and then delivered each day to this wonderful place. 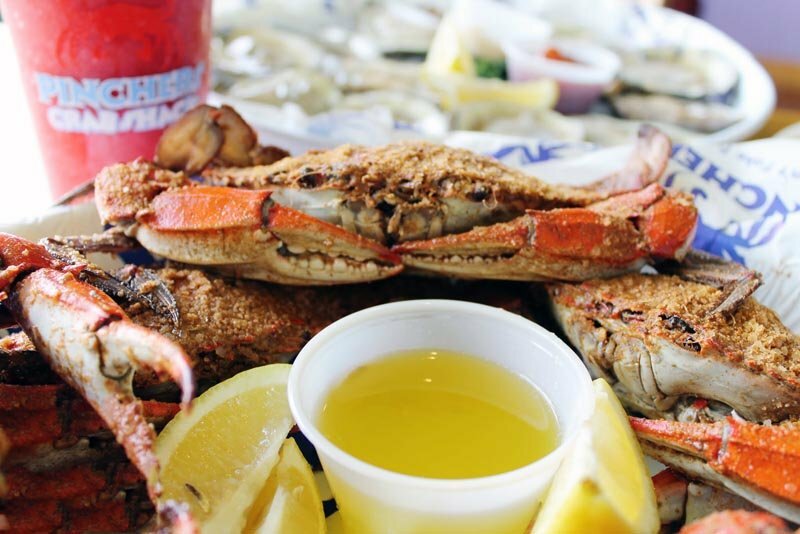 From Gulf Peel and Eat Shrimp, clams, oysters and more different types of crab, than you can shake a fishing pole at. Massive platters that have everything you can image in them, to sandwiches and pasta. If you like it here on Fort Myers Beach, then you'll love it as they also have a location on Key West that also serves locally caught Key West fare as well. If you're looking for a Happy Hour too, they have an "All Day, All Night" one with great 2 for 1 deals.